Will the United States continue to underrate its competition and stay on the road Woolworth’s went down? Woolworth’s, the original “five and dime” store, pioneered the modern American retail model. Founded in 1878 in Utica, New York, Woolworth’s was a leading innovator in merchandising, marketing and customer service, which allowed it to quickly overtake its inefficient general store competitors. The company expanded rapidly and, by the 1910s, it had almost 600 stores across the East Coast. 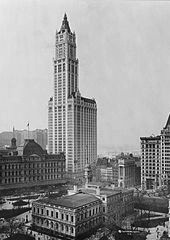 The chain was anchored by the Woolworth Building in New York City, one of the first urban department stores and then the world’s tallest building. By the 1950s, Woolworth’s operated thousands of stores around the world and was virtually synonymous with retail shopping. Unfortunately, Woolworth’s became a victim of its own success. By eradicating practically all its competition, the company had little need to experiment with new business models or focus on customer satisfaction. After all, people had nowhere else to go. Ultimately, the chain became known for long lines, a poor shopping experience, high prices and an inability to change with the times. When hungry competitors like Walmart, Kmart, and Target emerged in the 1960s with a focus on low prices and a pleasant customer experience, Woolworth’s simply couldn’t keep pace. The retail giant lost significant market share, was forced to close stores and eventually went out of business altogether. Today, Woolworth’s is often used as a cautionary tale of the dangers involved in taking your customers for granted. Unfortunately, the Woolworth’s image sounds eerily similar to how multinational corporations the world over now view the United States, as inefficient, bureaucratic and high-priced. If we continue to follow the “Woolworth’s model,” we risk the same fate. The United States has rested on its laurels and many of its economic and trade policies remain based on a model created when U.S. industrial power reigned preeminent. But in today’s global economic environment, companies shop the world looking for the best locations to invest. The nations with the strongest digital, physical and scientific infrastructures, access to pools of skilled talent, reasonable corporate tax rates and incentives for investment will be the nations that win this race. And while the United States technically can’t go out of business like Woolworth’s, it can — and is — losing significant amounts of “market share.” The result is stagnant job growth, slow productivity growth and growing income inequality. Yet amazingly, at a time when concerned citizens should be issuing a clarion call for action to address this growing crisis, too many U.S. pundits claim that all is well. Some point to the fact that the United States is second only to China in inward foreign direct investment (FDI). But this misses the reality that in 2008 just 7% of that FDI went to establish a new factory or office. The rest went to buying U.S. firms. Others claim—with no evidence, at least from the trade statistics—that domestic manufacturing is experiencing a renaissance. Stories abound regarding the reshoring phenomenon and the news that Apple is moving some production back to the United States. More equitable wage rates, cheaper energy and superior American “know how” are cited as signs that we as a nation are competitive again. However, these stories fail to note that the U.S. trade deficit in goods the past two years amounts to negative $727 billion — and negative $7 trillion over the past decade. Worse, numerous studies find that the vast majority of corporate location decisions are favoring foreign countries over domestic locations. For example, a 2012 study by the Harvard Business School found that the United States loses to other countries two out of every three times it competes for a company’s investment in R&D or production facilities. That, in part, explains why U.S.-headquartered manufacturing multinationals are favoring foreign over domestic investments. In 2000, those firms invested 33 cents overseas for every dollar invested domestically. The ratio was over double that (71 cents) invested overseas in 2009. Some argue that it doesn’t matter if manufacturing moves overseas. R&D and “innovation,” they say, will always stay here. Wish it were so. From 1998 to 2007, foreign R&D investment by American corporations increased more than two and a half times as fast as all corporate R&D investment in the United States. In addition, foreign nations — from the European Union to India to China — are now investing hundreds of billions in R&D and technology transfer programs to further attract global investment. Others have claimed that instead of manufacturing we should focus on the service economy. They see this as providing “clean,” well paying jobs that are a positive alternative to the “dirty” industry jobs of the past. But as has been said, we “can’t get rich doing each other’s laundry.” There simply are not enough pure service jobs to meet domestic demand. And these jobs are in part based on the economic growth and consumer demand created by the industrial and traded sectors. In short, all the anti-alarmist arguments seem to be based on hope more than fact. The situation the United States finds itself in today unfortunately is very similar to claims made by Woolworth’s executives in the 1960s. They, too, fatally believed that there was no need to worry about competition from Kmart and the like. Those firms may take the low cost, “ordinary” goods market, but customers will always want the quality and “experience” of Woolworth’s, their executives thought. That also proved to be factually inaccurate and ultimately contributed to Woolworth’s downfall. It is high time for U.S. policy makers to recognize that the “retail” environment for innovation and economic development is only becoming more competitive and the nations with the best policies will be the ultimate winners. If the United States does not make major strategic changes soon, we run the risk of becoming a latter-day Woolworth’s. 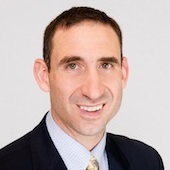 Stephen Ezell is vice president, global innovation policy at the Washington DC-based think tank, The Information Technology and Innovation Foundation (ITIF).